A recent survey of tire dealerships showed there are more places than ever to shop for tires in North America. 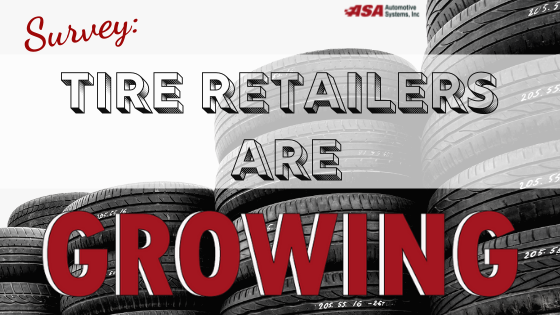 The Tire Business survey, released in November, found that the typical multi-store independent retail tire dealership operates 24 stores, up from 21 in 2017. The average size of a Top 100 dealership is 73 locations, which reflects a nine-store increase since last year. Additionally, there are 35 dealerships just outside the Top 100 collectively operating more than 300 stores—seven with 10 stores, 10 with nine and 18 with eight. So many additional stores on the market means increased competition, accounting for the slight dip in annual revenue this year. The average revenue for a tire dealership is about $2.8 million, a 20% drop from $3.5 million last year. For most large dealerships, the typical outlet gets the majority (55%) of sales from tires and related services. Forty-four percent comes from direct automotive service. One percent comes from miscellaneous sources. The typical Top 100 tire dealership sells 11 brands. Goodyear, Michelin and BFGoodrich are the top three most common brands carried by dealerships, followed by Bridgestone, Continental, Firestone, Hankook, Uniroyal, Dunlop and General, among others. Discount Tire/America's Tire operates the highest number of outlets with 1,000 locations nationwide. However, the chain is not the best-selling chain in any of the regions it serves. The retail network run by Bridgestone Americas—which includes Firestone Complete Car Care, Tires Plus and Wheel Works—is the most prevalent, with a presence in the Southeast, Upper Midwest, Southeast Central, Southwest Central and Northwest Central. With the industry growing so quickly, it's imperative to have the right software to keep your independent dealership ahead of the competition. Whether it's our CornerStone software created exclusively for authorized independent Bridgestone dealers, or one of the TireMaster family of programs, ASA has the comprehensive and flexible point-of-sale, customer and vendor management system that's right for your business. If you'd like to learn more about which program is right for you, one of our sales representatives would be happy to schedule a personalized consultation! How has your independent tire shop grown? Where are you located and what kind of expansion plans do you have the future? Let us know in the comments below!